Jarvis Woolverton Mason, III, of 48 Hickory Lane, West Hartford, was born May 6, 1941 in Hartford, son of Marcia (McKinney) and Jarvis W. Mason. He was found seriously injured at the circus grounds after the fire on July 6 and admitted to Municpal Hospital for supportive treatment where he died later that night. Jarvis was buried at Spring Forest Cemetery after services at the Newkirk and Whitney Funeral Home. 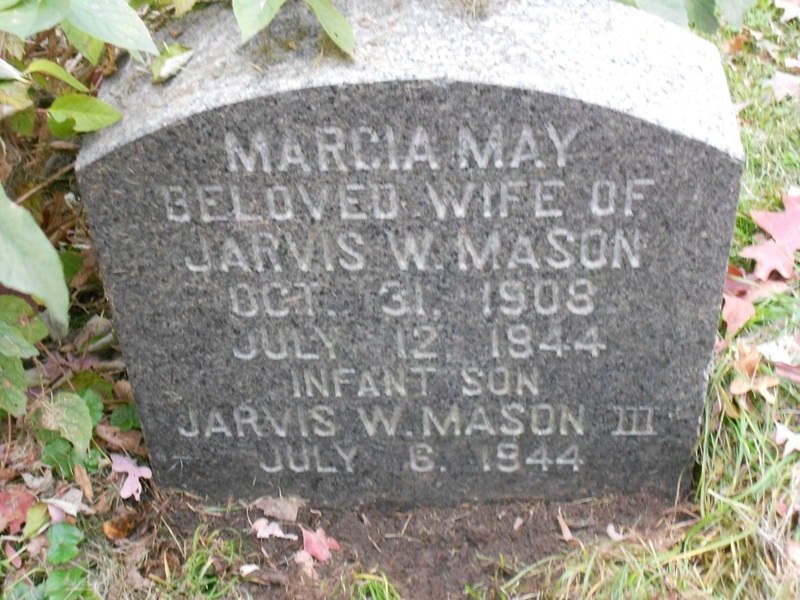 Jarvis leaves his father, and his sister, Marna May, 5. The estate of Jarvis W. Mason, III, was awarded $6,500 by the arbitration board. Jarvis attended the circus with his mother, Marcia Mason, and his sister, Marna May. All of them were injured, and only Marna May survived after two weeks at Hartford Hospital.